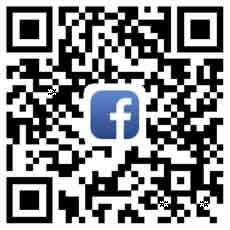 In our company the PO means container, and payment implies to a payment of PO. 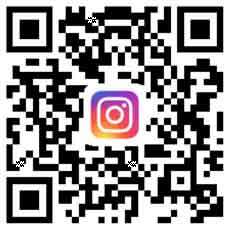 The calculation of prices for confirmed items, confirmation of pre-shipment term, payment methods, requirements to the order, stickers, shipping marks, sending PO - this process is called container forming. 2.How to make the container? Step 1: Enter create PI page. 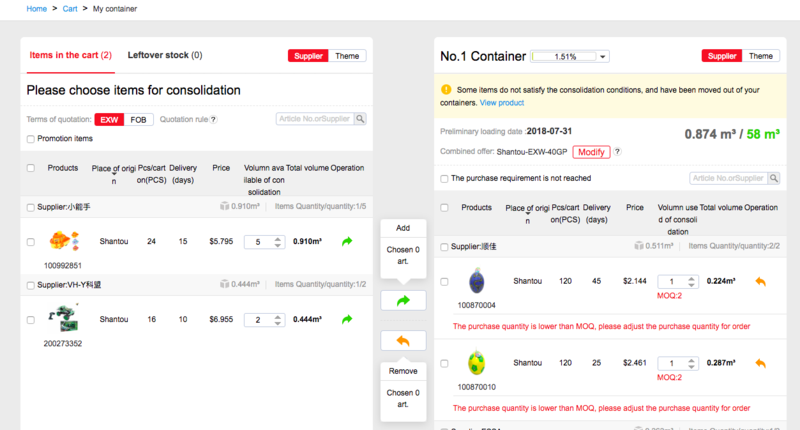 Step 2:Import needed items to the container; quick search can be done by production area, price or item number. 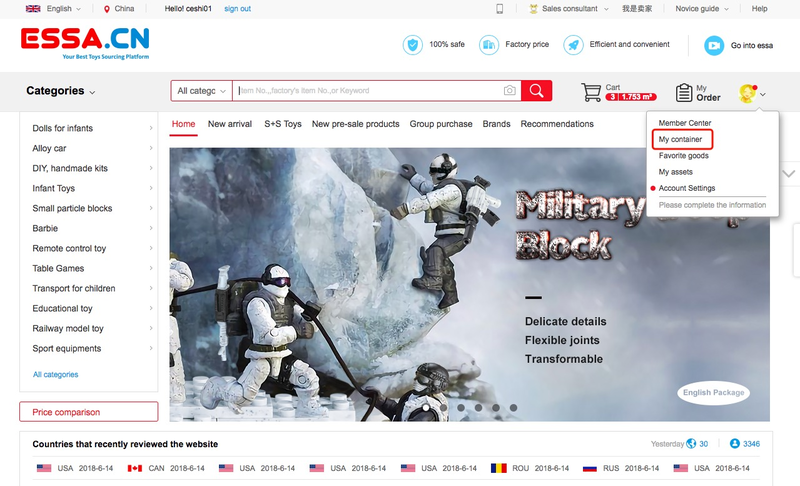 You can import several items at the same time. 1)Different types of containers have different volume size. 2)Items quantity can’t be less than MOQ. 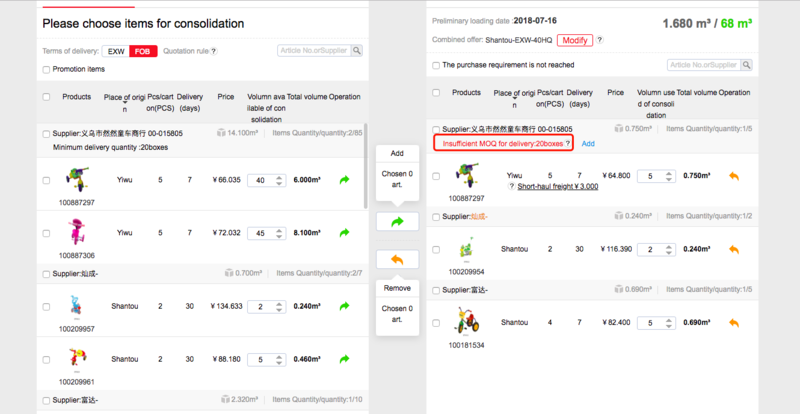 Also if there are MOQ for delivery, quantity can’t be less than it, otherwise it’s not possible to place the order. 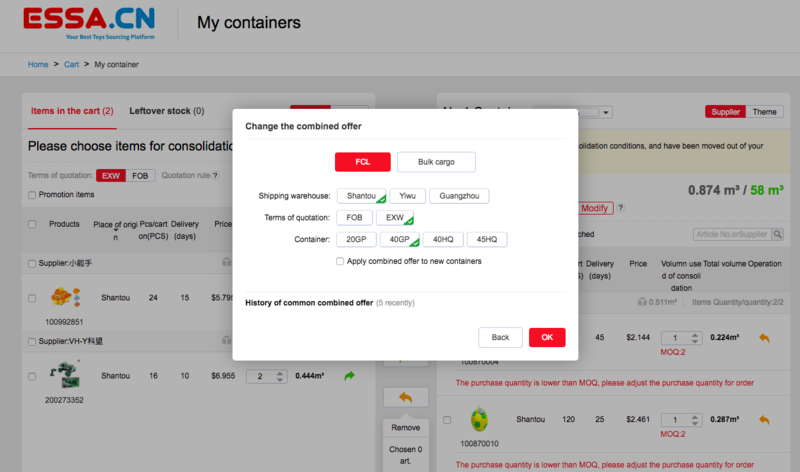 Step 3: Confirm the order conditions, such as pricing methods, pre-shipment day.